It is time for some passionate! high-flying! smashing! Volleyball action, as the six teams take the court in the inaugural season of RuPay Pro Volleyball League starting from February 2. The inaugural season of the league will have six teams, namely - Ahmedabad Defenders, Calicut Heroes, Chennai Spartans, U Mumba Volley, Hyderabad Black Hawks and Kochi Blue Spikers. The league's chief executive, Joy Bhattacharjya, said that the foreign players will be drafted for the participants in the league. The PVL, which is first of its kind in India, is a drive between Volleyball Federation of India and Baseline Ventures. The league will provide the much-needed exposure to the youngsters as they will get to play alongside foreign stars. This league will help in the promotion of the sport across the country. The sport has a good following in Punjab and Haryana, and also in the rural parts of India. During the league, players will definitely gain experience and improve their skill set, which will help them in future at the international level. The organizers made it clear that each team in the league will have at least one Indian icon player and two foreign players. The biggest pick in the auction was Ranjit Singh with Rs.13 lacs. The best part of PVL is that the teams will have to include U-21 players as well. There will be a total of 18 matches played during the first season. 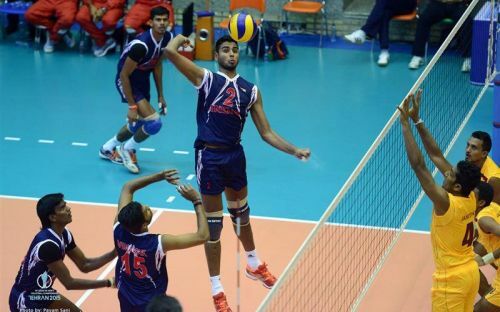 The matches will be played at Kochi and Chennai, two of the biggest centers for volleyball in the country. In the end, let's now look at the international icon player for each team.